The March 2018 update is ready to be tested and includes the addition of Hatchmaking, Pet Tome, new Pet Names, new loading screens, beginning phases of new Wizard City construction, new Skeleton Key Bosses, new Empyrea Daily Quests, and more! There's a brand new kiosk in the Pet Pavilion that makes finding interesting pets a lot easier and provides a new spin on a familiar system! 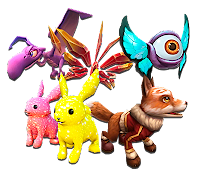 Note: the old method of hatching pets is not going away and will still be needed for hatching some more valuable pets. When Managing pets, you can see the pets that have hatched with your pet and if you like them, hatch back with that pet! You can also remove the pets you're offering either individually or all at once. There's also a considerable amount of new badges to go along with the hatchmaking and pet tome, as well as a new "Grandmaster" badge. Good luck with your new badge hunting! With this new focus on making hatches, a new collection system has been added so you can see if you truly have the largest zoo in the Spiral! To access the new Pet Tome, Press "I" to enter the Pet Page (or access it through click on the pet icon in your Spell Book) and then click the "Pet Tome" button at the bottom of the page. Your Pet Tome will help you track which pets you have found, give you a count of the number of pets you've earned, and tell you a few facts about each pet (like which pet snack type they like). There are all new badges for serious pet collectors: every 50 pets you collect in your Pet Tome, you'll earn a new badge! Renee Wooften and her crew continue to size up The Commons, and will start work on phase two soon! 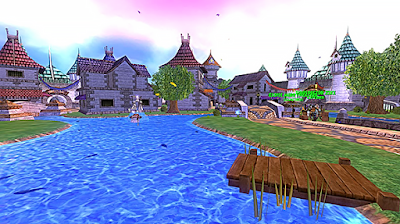 You'll notice a new dock in The Commons that will be especially lovely for Wizards who enjoy fishing, and maybe a few other surprises as well... More changes and construction are on their way in the future! If you've been through Empyrea, you've already seen a different loading screen as you travel between areas there. KingsIsle has now extended this to every world of the Spiral, and each world has its own new loading screen! 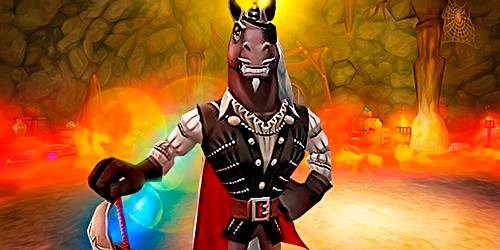 There is a brand new introductory quest in the free-to-play areas of Wizard City that introduces the concept of Skeleton Key Bosses to new players. Diego the Duelmaster will now offer this quest to young 5th level wizards as he is in need of some assistance with his pesky nemesis, Roberto! 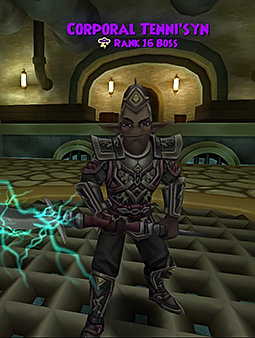 For higher level players, you'll want to scour the sewers of Zanadu to find a Skeleton Key door leading to Corporal Tenni'syn. Herein is a greater challenge for greater rewards! Bring a Gold Key and get ready for a great fight. Also, check your minimap throughout the Spiral – if Skeleton Keys drop in the area, there will be a new icon displayed on the map! And there are many more changes and updates being applied to the game! Read the full list of updates here.